With Open Automation Software you can now easily log your critical data and alarms to a SQL Azure database. Microsoft Azure is Microsoft’s cloud computing platform. Cloud platforms like Microsoft Azure and Amazon Web Services provide scalable data storage and processing power without the costs and administrative hassles of maintaining hosted infrastructure. Cloud computing offers many technical advantages and cost savings over traditional hosted solutions. What is Microsoft SQL Azure? Microsoft SQL Azure is Microsoft’s Cloud Database service. As with any cloud service the main advantage of SQL Azure is the ability to scale the database quickly and efficiently in response to business requirements. Apps built on non-Microsoft technologies such as PHP, Python or Node.js will work just as well on the Azure platform as apps developed in a Microsoft .NET environment. Why log your process data and alarms to a SQL Azure database? Grows with your needs- only pay for what you need Microsoft Azure is an elastic platform which provides the means to instantly scale your database requirements in line with your data needs. Pay only for the capacity you use. In the age of ‘big data’ this is a key consideration. Availability and reliability Azure’s cloud based architecture means your database is always available. Microsoft SQL Azure is built on a service oriented architecture so it is responsive to all the data that comes its way. An added feature of the Azure platform is its ability to analyse your data and adapt your database performance to suit your data requirements. No Physical DB Administration Required With SQL Azure you benefit from a “Database as a Service” (DaaS) model. There’s no setting up and many of the DB admin tasks are handled by the platform. An informative management interface means you can easily monitor SQL Azure databases and other services. Security SQL Azure comes with built-in data protection and security features all without having to write custom code. SQL Azure offers all the SQL connection, authentication, authorisation and encryption features you will need to keep your data secure. What data sources can I log to a SQL Azure database? 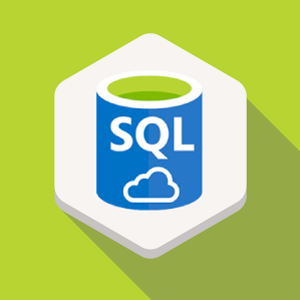 Like to learn more about OAS and Microsoft SQL Azure? 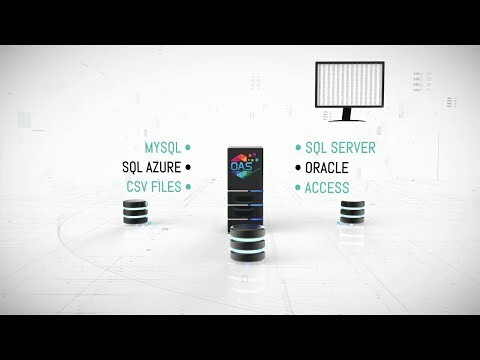 To learn more about how to log data and alarms to a SQL Azure database, contact your OAS Sales Representative toll free in the US on 1-800-533-4994 or for international enquiries call 1-303-679-0898.